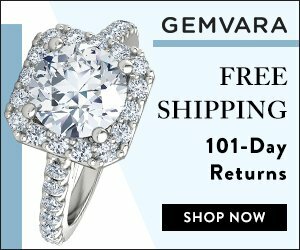 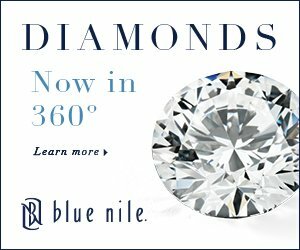 I just discovered this unique setting on Blue Nile’s site and had to share it. 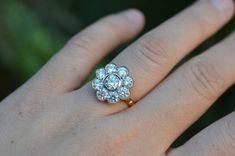 My love of all things retro and vintage certainly made this one pop! 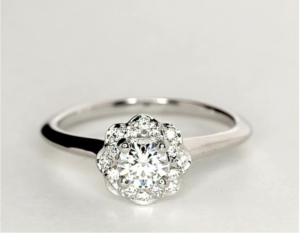 Starburst motifs entered into popularity during the Victorian Era – 1837-1901, but also had a resurgence during the midcentury modern movement which began in the 1950’s. 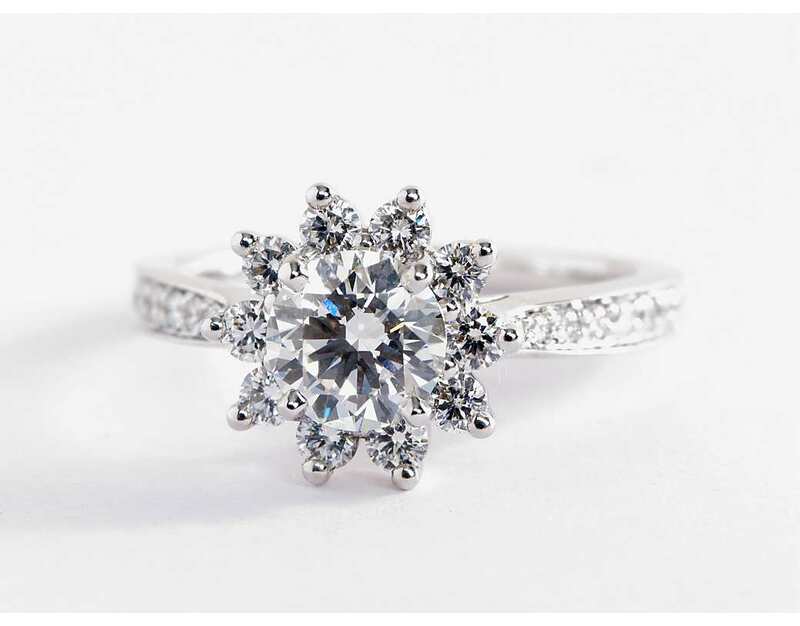 Either way, this sparkly setting from Blue Nile captures the pure joy of a starburst in a dainty halo setting. 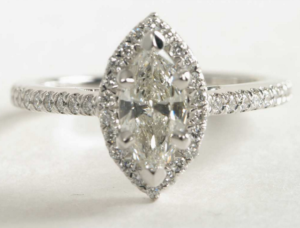 The ring pictured above was created by a Blue Nile shopper who selected a 1.0 carat I, VS2, Ideal cut diamond as the center stone. 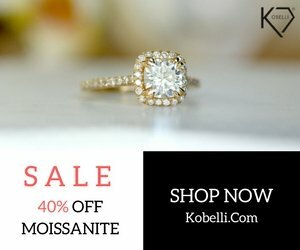 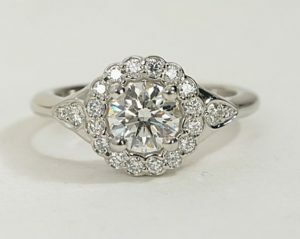 The completed ring is stunning, but would also look great with a smaller stone as the halo always makes your center stone look bigger. 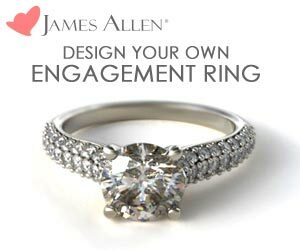 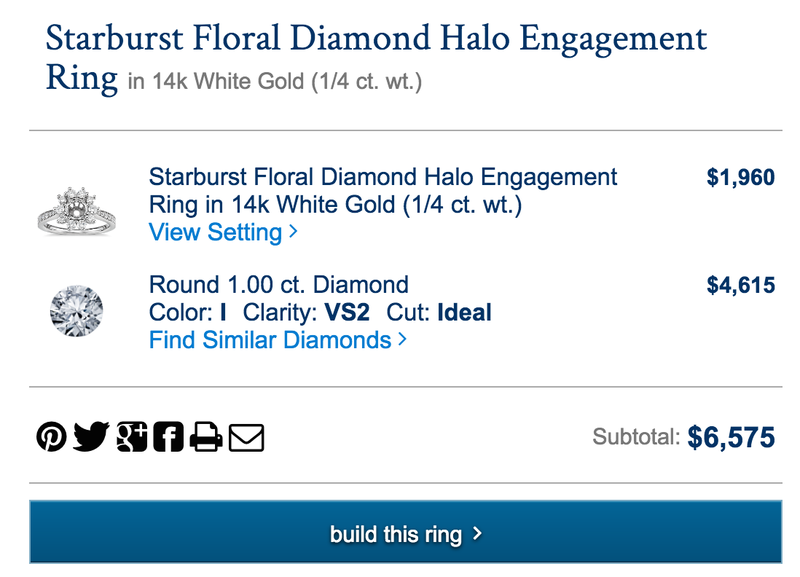 See the stats from their ring below and click the image to let Blue Nile help you customize this setting to your budget. 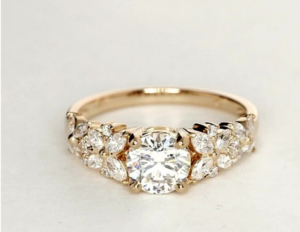 See the side views of this setting at Blue Nile and read the adorable customer review on this ring from a Blue Nile customer when you click here. 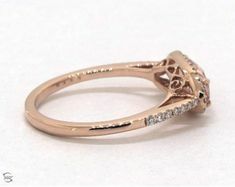 Do you love Starburst style? 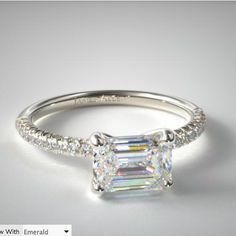 Share your unique pieces in the comments below!